September 25, 2015: "The East Harlem Protestant Parish Records at the Burke Library," held at the Church of the Living Hope, New York, NY. This is a presentation I gave during an event called "The East Harlem Protestant Parish and the Future of the Local Church Today." This event was organized around reflecting upon and remembering the history of EHPP and what this powerful church might mean for the churches of East Harlem and beyond today. 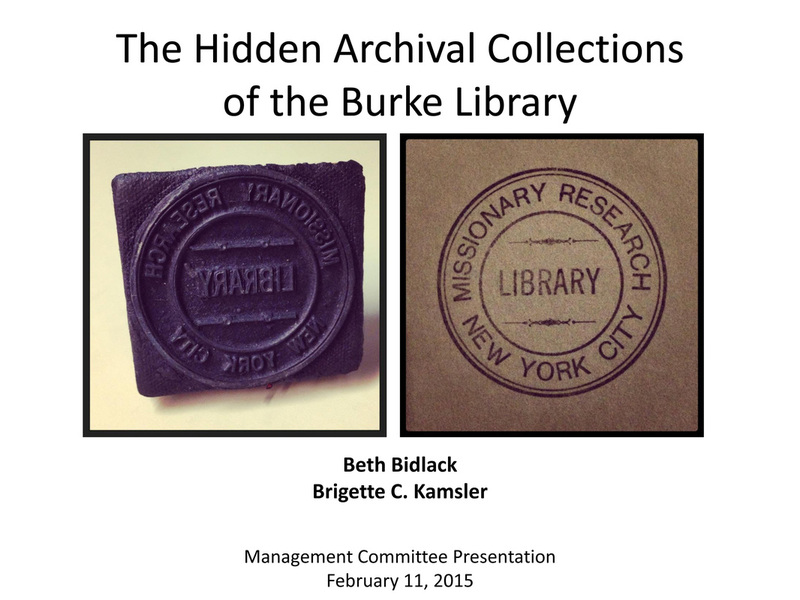 Along with a panel of four others, I presented on the collections at the Burke Library. At this time I will not upload the presentation as many of the images are from more recent years. June 18, 2015: Poster Presentation: Wayfinding* our Way through the Burke Library, Assessment Forum, Columbia University Libraries. June 8, 2015: "The Archives Exposed," C. V. Starr East Asian Library Staff Presentation, New York, NY. This was an informal presentation covering the basics of archives. I adapted a previous presentation I had given at the Historical Society, as well as from a fellow Columbia Archivist. Learning Lunch Lecture Series, Monthly, HSFC, February 2010-July 2011. 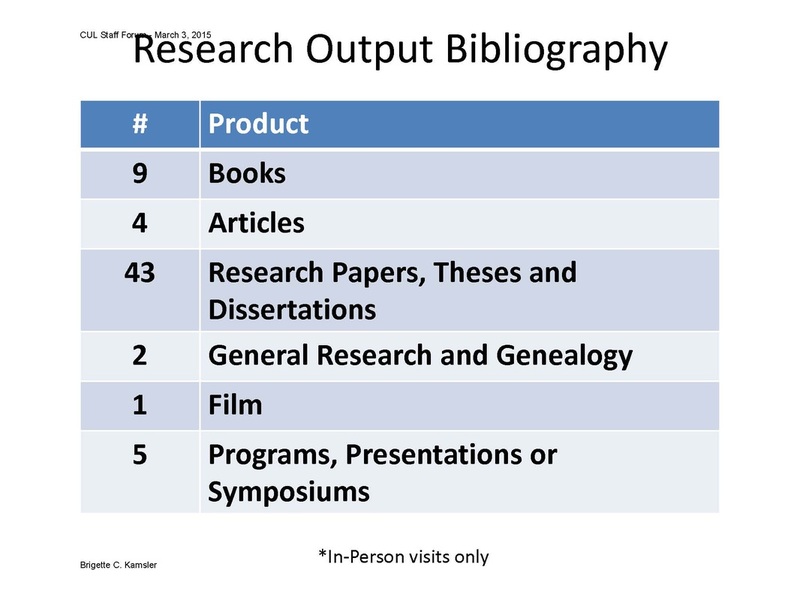 "Collections Management Policy," Archives and Research Center, HSFC, approved May 2010. Lecture to HIST 299B: Introduction to Public History Course as Professional Archivist, Hood College, November 2010. Lecture as Returning Alumni on Archival Education and work as a Professional Archivist, Millersville University, November 2009. Lecture, "Chat and Learn - The Archives and Research Center Exposed," HSFC, May 2009. Lecture to Republican Women's Organization, "The Wonderful World of Archives and Archiving at HSFC," March 2009. Lecture, "Digitizing Your Family Photographs," with Amy Lucadamo, Project Archivist, Preservation Workshop, HSFC, March 2009.